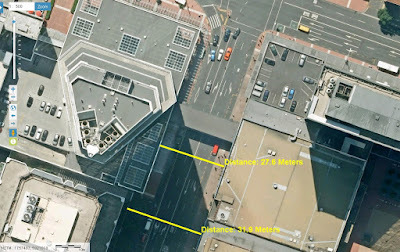 The place to view downtown Auckland demolition is the 1st storey platform of Price Waterhouse across Lower Albert Street. A bloke there told me that the rubble from this demolition will meet the needs of good quality concrete and construction across Auckland for a whole (don't know how long - and by-the-way, click on either of the lower images to see necklaces of concrete and steel draped like designer jewellery), and the steel from reinforcing will be melted down to form the quality of reinforcing steel appropriate for many Auckland building construction projects. Celebrity Solstice is the lead ship of the Solstice-class of cruise ships operated by Celebrity Cruises. (We learn from Wikipedia).Built by Meyer Werft in Papenburg, Germany, she was floated out on August 10, 2008, and christened by ocean scientist Professor Sharon L. Smith at a ceremony in Fort Lauderdale, Florida, USA, on November 14, 2008. The first post-Panamax vessel in the Celebrity fleet, she features innovative interior design and onboard amenities, including an ocean-going live grass lawn, a glassblowing studio, and a 12 deck-high atrium. 121,878 tonnes, 314.86 metres long, 36.88 metres wide, 8.23 metres draft, 2,850 passengers, 1,500 crew, 24 knots. Here she is visiting Auckland (again, she's been a few times before). The passengers were a friendly lot - waving to us ferry commuters on the Kea. Couldn't see anywhere how high the ship's top cabins are above the water.But you can see here - beside the ship - Princes Wharf, and its top floor, top shelf apartments. Residens there might be staying inside. Maybe just as well Ovation of the Seas (150,000 tonnes, longer and higher) can't berth here. I think Greg McKeown is right about many Port things. He reckons that rather than build a dolphin off the end of Queens Wharf, better to remove the rump of Marsden Wharf and allow very large cruise ships to berth alongside Bledisloe Wharf. Why is Council Voting Dropping? This post starts with local commentary on voting patterns, summarises in depth research (Nordic and US experience), and concludes that Council voting decline anticipates a steady decline in economic activity reliant upon a thriving local democracy. There's a very good piece in the NBR on voting entitled: who's to blame for a record low voter turnout? It doesn't really have a thesis, part perhaps from suggesting that youth don't vote because they don't see themselves among the candidates, and which offers suggestions including that there should be more prty politics in local government. It is a good read and has some great links to blogs which contain photos of billboard displays across the country, including this one which is highly recommended. As the NBR article notes, the problem of declining voting/participation has been occurring for a while across the western world - at both national and local levels, and there is a lot of useful and informative analysis about why, in other countries, that we could look at and consider in New Zealand. I look at two pieces of research in this posting. One hypothesis is that a major factor, especially in the 2010 elections, was disillusionment in the wake of Iceland’s economic collapse in 2008 and the subsequent crisis of public confidence in parliament. Another hypothesis is that the size of municipalities has to be taken into account. As elsewhere, political participation in Iceland is stronger in smaller municipalities. It is only in the bigger municipalities in Iceland that nationwide political parties in Iceland are active, and it is also there that voter turnout has dropped the most and voters have given the most support to newly formed political parties. The paper draws on research conducted in Iceland and in Norway to show that in the past decade or so, there has been increasing involvement of political parties (or partisan groupings) in local government elections, and that this factor is a contributor to declining voter participation and interest. The research oberves that local government election turnout in small communities (eg less than 2000), where candidates are "non-partisan" (ie not affiliated with any particular persuasion or party), routinely get turnouts above 80%. The article also notes that the emergence of new political parties (as happened in Iceland after the 2008 crash) has led to those new parties seeking profile and representation at local government level - presumably as part of a build up toward national elections. Looking as far back as data has been collected, voter participation in Icelandic local government elections always fluctuated between a maximum of 87.8 percent and a minimum of 81.9 percent – until the 2006 elections, when it dropped below 80 percent for the very first time, to 78.7 percent. In the 2010 local elections voter turnout reached a new record low of 73.4 percent. Here it is important to mention that, since 1993, many municipalities in Iceland have amalgamated. Two general local referenda on amalgamations were held in 1993 and 2005, and other amalgamations have taken place separately. The number of municipalities has fallen from 196 (in 1993) to 105 (in 2002) to 76 (in 2010). The writers consider, and reject, two factors for the change in voter turnout. The first is the increasing role of political parties, the second is the reduction in voter age to 18 (NB: dropping the voting age to 18 brings a whole new demographic into the voting population - one argument that is used here is that young people may not be interested in, or aware of, what local government does.) In any case, while these arguments might be applicable in considering what's happening here in NZ, they were discounted in the Iceland study. The rationale for declining voter participation in Iceland, post 2008, is summarised like this: "...results show us that the events of autumn 2008 and their aftermath had not only a strong economic impact on the people of Iceland, but also an effect on the way they think about politics, which has manifested itself in sharply declining trust in politicians and political institutions...."
The researchers then turned their attention to the role of population in voter turnout. They argue: "...More recent findings also support the hypothesis that democracy weakens with increasing population size...". They cite a number of studies about this, and summarise these findings: "a number of other studies have concluded that there is a clear correlation between municipal population size and voter participation – the bigger the municipality, the lower the rate of participation (Morlan, 1984; Goldsmith and Rose, 2000; Sundberg, 2000; Frandsen, 2002; Frandsen, 2003)...."
The second piece of research was done in the USA nd is dated 2003. MUNICIPAL INSTITUTIONS AND VOTER TURNOUT IN LOCAL ELECTIONS; ZOLTAN L. HAJNAL University of California, San Diego, PAUL G. LEWIS; Public Policy Institute of California. The summary of this research states: "...Specifically, less outsourcing of city services, the use of direct democracy, and more control in the hands of elected rather than appointed officials all tend to increase turnout...."
In an arena in which the actions of local government can affect citizens in profound ways (for example, in public safety, infrastructure, and land-use decisions), there is a very real possibility that elected officials and the policies they enact will tend to serve only a small segment of the population (Hajnal and Hills 2002). One of the more recent and pronounced trends in local governance is a move toward contracting out and other “outsourcing” of city services. In an effort to provide more efficient services, many cities have contracted with private firms to carry out services. Others have turned to special district governments or have contracted with nearby governments, particularly the county, to deliver services (Miller 1981; Foster 1997). Whether such service delivery alternatives ultimately reduce costs and improve city services can be debated. There is little doubt, however, that such service arrangements reduce the influence of municipal officials to some degree; at the very least, they have fewer jobs to control. The reduced role for local bureaucrats and elected officials may have the unintended consequences of reducing interest in local politics and depressing turnout. The research paper goes on to describe its own methodology and investigation - the main results of which are summarised above. Communities in New Zealand in general, and in Auckland in particular, appear to be experiencing similar issues with their local government arrangements and institutions as have been investigated in Europe and the USA, with similar consequences - ie low and reducing voter turnout. Any analysis of why Auckland's local government vote is low needs to go further than what has been offered so far in the mainstream media. In my opinion, well functioning local government institutions are critical in urban environments that are experiencing high growth rates and development pressures. Auckland in particular can expect increasing resistance from communities to intensification programs which do not provide for mutual benefit outcomes that can only be achieved by effective - and trusted - local government institutional arrangements. Perhaps the existing arrangements deliver GDP growth benefits to some stakeholders now, but long term programs and mutual benefit will require institutional change. 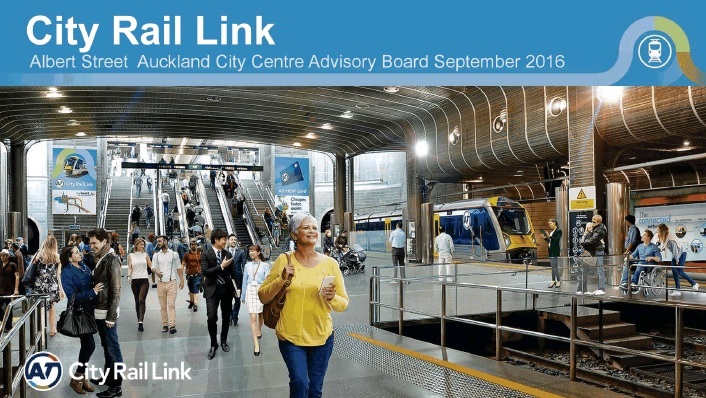 Interestingly, despite the statement that "council does not comment publicly on the merits (or otherwise) of the appeals", the Council has chosen to single out for special attention the appeal by Auckland 2040 and the Character Coalition (A2040CC). Since this comment, others have chosen to criticise A2040CC, and to use the opportunity to blame them for Auckland's housing problem. He said a High Court appeal by the Character Coalition and Auckland 2040 against provisions for greater intensification could stall implementation of the plan for up to a year. "Auckland urgently needs the Unitary Plan to be able to build the number of homes required to meet demand," Twyford said. "National must urgently legislate to make the Unitary Plan operative now, rather than after the lengthy legal process is finished," Twyford said. This is disappointing from Twyford who has latterly been consistently raising the demand-managment side of the policy debate. Even Auckland Council concedes that the Unitary Plan by itself will struggle to build a single house, without the other legs of the development planning stool being in place. The other two legs are area and regional spatial plans; and public realm funding planning. Without these institutional arrangements being in place the PAUP is little more than a list of rules defining the development potential of land areas within the Auckland region. The PAUP, without these legs which are the implementation tools, can't stand up. MPs and Government Ministers might wish for the PAUP to be all made operative by Act of Parliament - despite the concerns held by the many appellants - but that would deny property owners the rights that go with living and working in a western country which is a democracy. The problem we all face now is the enormous amounts of time and money that these appeals are about to consume. Largely unproductive time and money, because, while this litigation will be good for GDP and generate fees for experts and lawyers, nothing will actually get built. Not only that, but all of this effort will only change specific provisions and lines on maps within the PAUP, which, even when judges hand down their final decisions, will still require the other two legs of the development planning stool. To digress slightly, many of the community concerns with the PAUP might have been addressed along the way if the other two legs had formed part of the planning environment. 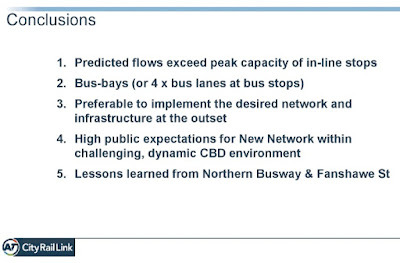 For example, many community concerns about development intensity provided for by the PAUP, would have been addressed (not necessarily satisfied) through the collaborative production of Area Spatial Plans and the negotiation of community infrastructure asset plans and their funding. Community fears that their loss of amenity will be a developer's gain are at the heart of much community resistance - which is dismissed quite wrongly in my opinion as NIMBYism. The way I see it, we are all walking in lock-step to a gunfight in the courts where no-one will win (except the lawyers, the urban design experts and the economists). All because we are applying an environmental effects based planning system that works passably for greenfield development, to an urban environment where the receiving environment = communities and people (not grass, streams and native ecosystems). There are High Court Judicial Review applications. Weiti Development; North Eastern Development; Vision 2040 and Character Coalition; Waste Management NZ; Straits Protection Society; Strand Holdings; Bunnings. Appeals to the High Court including: South Epsom Planning Group; Federated farmers; Ak Memorial Park; Bayswater Marina; Waitakere Ranges Protection Society; Kiwi Property Group Ltd; Kawau Island Organisation Ltd; Independent Maori Statutory Board. And many appeals to the Environment Court. These are all neatly classified in the website under the same "Topic Numbers" that were used by the Independent Hearings Panel (IHP). Looked at Waste Management’s 28 page judicial review application prepared by Chapman Tripp includes detailed statement of claim relating to less than 1 hectare of land at Rosedale Road, tellingly submits: The appellant alleges that the Panel and Council erred as a matter of law in that, in the circumstances presented to the Panel and Council, the only true and reasonable conclusion on the evidence available to them, contradicts the determination made to rezone the appellant’s Site from “Light Industry” to “General Business”. Looks like a minor matter. The Straits Protection Soc Inc wants a RUB on Waiheke Island, and argues that IHP made wrong decision to remove it. Character Coalition and Vision 2040 judicial review. The decision appealed is the IHP decision to rezone residential properties to other zones when council had no scope to do so; rezone mixed housing properties to other residential areas when it had no scope to do so; resulting in 1000’s of residential homes being rezoned without scope and without opportunity for submitter, landowner and affected person input!! This all gets into s.144 of the LGAucklandTPA – scope of recommendations that IHP is permitted to make. Looking at s.144 suggests the IHP had an enormously wide brief that in law. This appeal really goes to the fundamentals of Auckland amalgamation, the Auckland Plan, and related LGA reforms relating to the PAUP and the IHP. Looked at Bayswater Marina’s High Court appeal. Talks about an "Evident logical fallacy"! It appears that IHP made recs distinguishing between 2 area of BM in terms of parking and food and beverage but without giving reasons. They say that BM subs and Council subs are supported – but that IHP took a different view without reasons. Appears the IHP recs were “minor changes” as far as IHP were concerned, but are major as far as BM is concerned. Fed Farmers have argued tortuously that the way IHP and Council have responded to King Salmon Case Law and the NZCPS has meant that various Outstanding natural landscapes have been revisited in a way that means basic farming activities are not allowed. The heart of its appeal is that methodology around this should be reviewed – and it was not – that is the error in law. Looked at Kiwi Group’s 91 page appeal to Env Court. Re carparking in centre and mixed use zones. “because the Council rejected recommendations of the Hearing Panel that had been addressed by the appellant, and this resulted in alternative provisions being included in the plan – and others being excluded…” (This is a request to relitigate the Panel and Council decisions in EC). Looks pretty simple as an appeal – contains previous submissions. Progressive is also appealing Council’s decision to reject IHP recs re minimum parking provisions. Council removed all parking minimums. Looked at VHHL’s appeal to EC re Lighter Quay. Looks like Council rezoned small area left for development so that offices are discretionary – because Council sees area as mixed residential. Looks like a bunfight specific. Looked at Weiji Yang et al’s appeal to EC. This relates to 189 Vaughan’s Road Okura. Object to it being countryside living, instead of future urban. They want the RUB to be changed. They want the Hearings Panel recommendations reinstated in full. Todd Property Group (Berry Simons as lawyers) want fundamental changes made by Council to IHP’s recs re urban growth to be reversed. These provisions are in the Regional Policy Statement and require that “urban growth is primarily focused within the metropolitan area 2010….. and quality compact urban form…. Concentrating urban growth within metropolitan area…”. 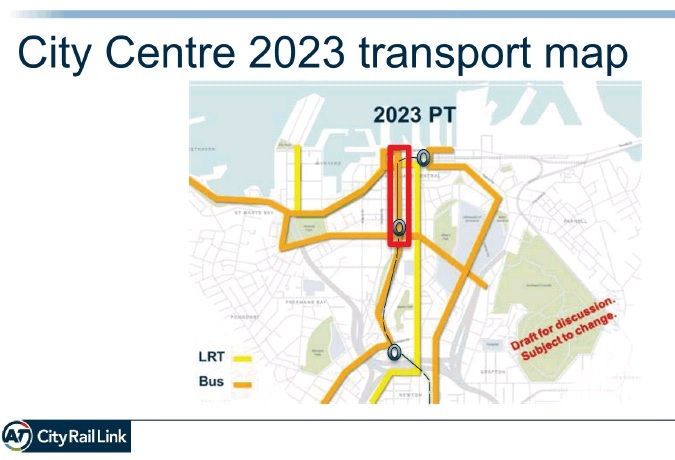 This looks to me as potentially as fundamental as Auckland 2040's appeal. Not sure why Auckland 2040 was singled out, and not Todd Property Group. National Trading Co of NZ appealed to EC provisions relating to kauri Dieback. They only want the provisions to apply where it has been identified. They want Council’s rollback of IHP recs reversed.This pattern was common in appeals I looked at. Appellants generally favour what the IHP recommended and disagreed with Council's changes. The very significant issue that arises here is what role does Council have in deciding its own plan - if, based on internal priorities, it cannot adopt different policy settings. Does it take an environment court to decide between IHP and Council? Anyway. Just to give you a bit of a flavour. A lot of these can likely be dealt with quickly. But some could take much longer, demand tracts of expert advice and legal advocacy, when other more practical approaches, on an area plan by area plan basiswould be more productive. Interesting changes are afoot in the planning for bus transport, interchange and stops in Albert Street - especially Lower Albert Street. Which is about time - and should have coincided with the planning of the Downtown redevelopment. 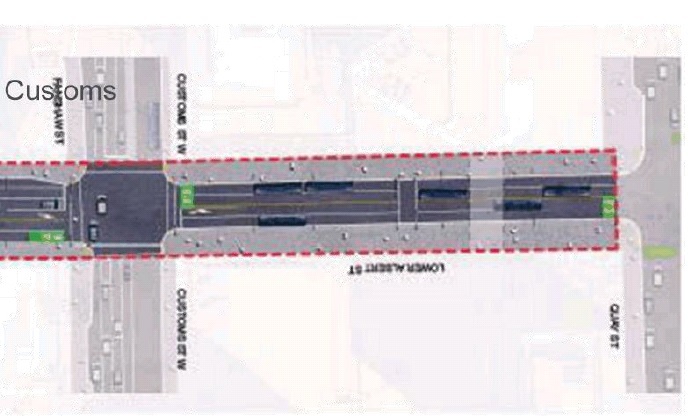 This aerial shows Lower Albert Street and measures of the cross section. I took this photo for this posting which canvassed the dangers that had emerged with the sudden relocation of bus services that had been in Lower Queen Street, into Lower Albert Street. What this picture shows is the width of the pavement on the West edge of Lower Albert Street. These days its packed at am and pm peaks - including bus commuters and a good number of ferry users who prefer this route rather than through Lower Queen Street at present. 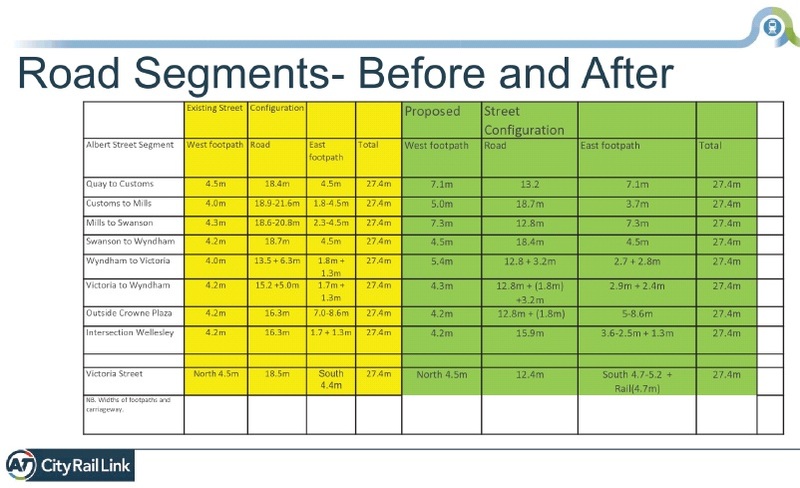 Auckland Council and Auckland Transport are currently planning how Lower Albert Street road space needs to be re-allocated to provide for pedestrian and commuter needs that can be anticipated there. One of the last Council meetings of the year received a presentation about it. You can see this presentation and plan for yourself, in this agenda attachment file, from page 36 on. 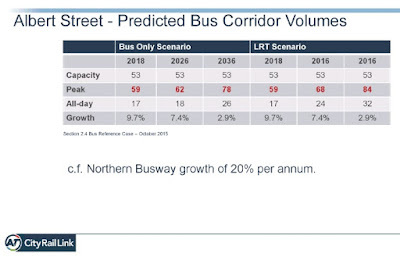 One of the issues that seemed to be absent in the consenting processes for the proposed new tower (cnr of Lower Albert and Custom Street) was the effect that traffic movements in and out of the proposed development would have on increased bus movements. However, as I have noted in previous postings about that, here, here and particularly here, the tower consent application was non-notified and despite the bus conflict issues being identified, those effects were deemed minor and ARTA (Auckland's Public Transport Authority at the time), were not allowed to make submissions. 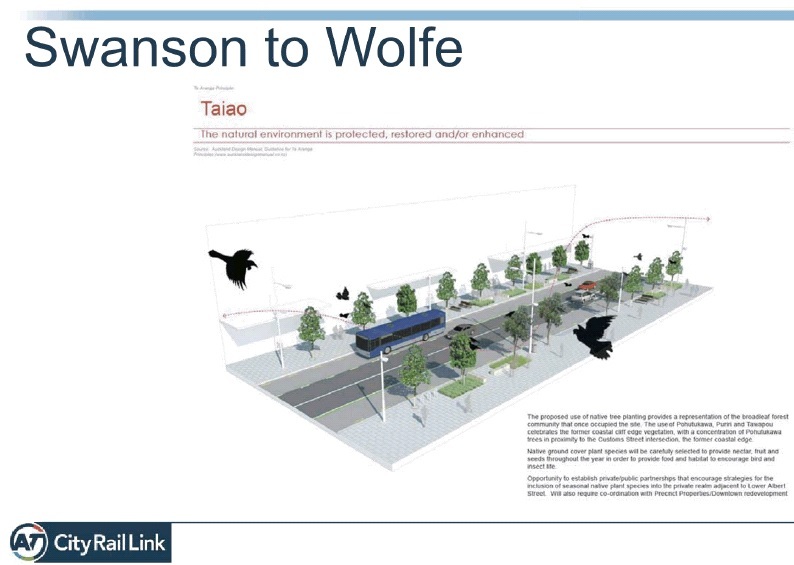 The pigeons from that piece of Auckland CBD's planning history are coming home to roost now. These conclusions make no mention of the conflicts that will exist between bus movements and the double width exit and entry off Lower Albert into the Precinct development, but they do highlight that there is some recognition of the need to sort this issue out. Belatedly. Public transport is usually the second last cab off the planning rank in Auckland (the last being public open space). At least its moving. You'll need to click on this image to read the numbers. But the key numbers relate to changed pavement/bus waiting area widths between Quay St and Custom St. The west footpath is being widened from 4.5 metres to 7.1 metres. Same on the east side. This is a significant change, and will improve pedestrian amenity and safety. This is a cross section from the report. Not sure why the east pavement width looks wider than the west pavement width - but the widths are the same according to the table. (NB: ironic that a width of 7.1 metres is deemed appopriate here, when the AT modelling for pedestrian flows through the downtown development between mid Lower Albert and Britomart are as high - if not higher than along Lower Albert - and will be accommodated in a laneway just over 5 metres wide. I include this artist view of the finished cross section of Albert Street between Swanson and Wolfe. Looks like an attractive boulevard doesn't it. Let's hope AT's vision for this gets implemented on the street. Awarded Top 100 Planning Blog 24 July 2017. 88th out of 100 planning blogs spanning the planet. Very pleased. Click the medal to see them each described and to access an interesting resource. Enjoy the challenges of planning, especially urban planning, and the process of engaging with its endless problems. No easy solutions here! Unlike my earlier life in physics - but then, again, maybe its solutions are like sticking plaster. Previous life for 12 years as elected councillor in Auckland local government. Re-qualified at University of Auckland as urban planner. Now senior policy analyst at NZ Planning Institute. Did Parliament intentionally Bankrupt Mangawhai?